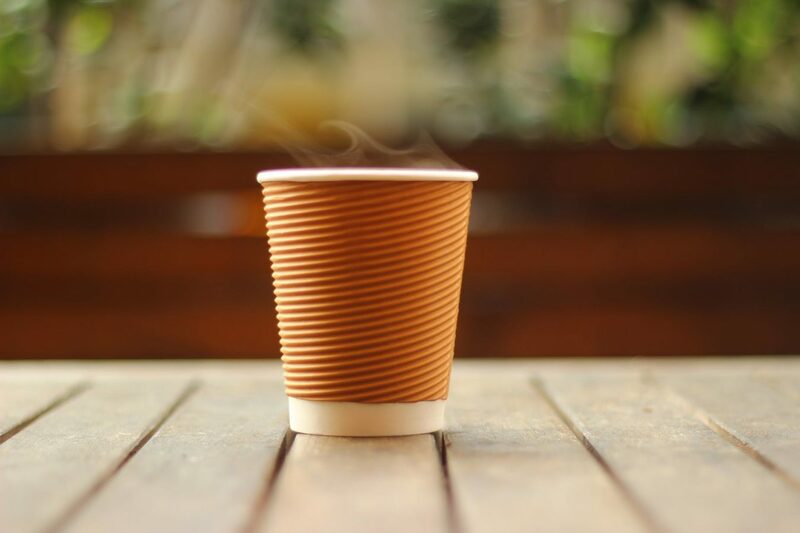 Last week the BBC reported that an independent coffee chain has seen sales fall by £250,000 since it banned single use coffee cups. The UK throws away a staggering 2.5 billion disposable coffee cups each year. Only a tiny proportion are recycled and half a million a day become litter. The problem is clear, but what’s to be done? Reusable cups are great, but we often forget them, and cleaning them can be problematic when out and about. But what if there was a simple way to resolve these challenges? We’ve conceived a concept to ensure consumers always have access to a reusable cup when needed, and where there’s no need to worry about cleaning it. “Coffee cup as a service” builds on the ordering and payment apps that many chains already have and adds the ability to associate a reusable cup with a unique user ID. 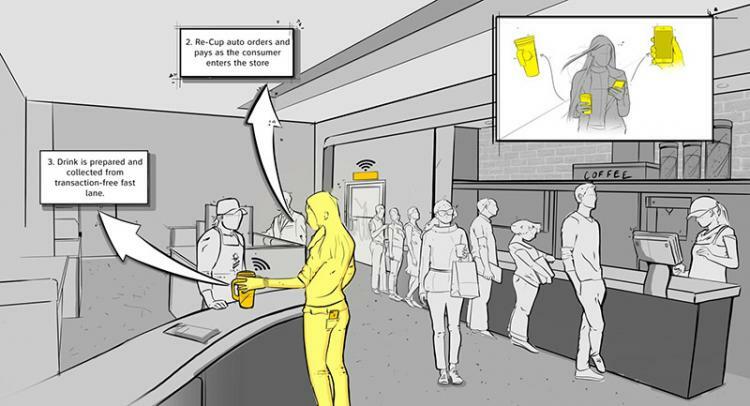 Consumers could “program” the cup with their order (or keep it as a regular choice) so that when in store they simply hand over the cup and the transaction is made – order and payment all in one scan of the cup. This returned cup then goes off to be washed. Meanwhile, a new cup is associated with the account, filled with the chosen coffee and handed back to the consumer. So, as well as solving the problem of not having a clean cup, the ordering, payment, filling and serving of your coffee is streamlined, becoming a much faster and convenient experience. Learn more about “Coffee cup as a service”. There’s a smarter way to recycle – one that harnesses machine vision, machine learning and smart consumer rewards – And we’ve built the proof of concept. Consumers struggle to decide if a coffee cup should go in the general waste, recycling or composting waste stream. Even if it is clear which type of coffee cup they have in their hand, they are unlikely to know whether the infrastructure is in place to process it properly. Using technology to take these decisions out of the hands of the consumer will lead to significant improvements in recyclate quality. The technology within our system is designed to identify the type of waste the consumer wants to dispose of using image recognition. The system combines machine vision with machine learning and can be trained to recognise new items over time. It can also detect the difference between a recyclable cup and a compostable cup, potentially challenging to the untrained eye. It then indicates which section of the waste disposal unit the item should be placed in. Learn more about the Smarter Recycling Concept. A smarter way to recycle from Cambridge Consultants on Vimeo. To demonstrate the potential of PHA bioplastics in the food service industry, Cambridge Consultants designed a range of biodegradable plastic products, all served up on a bioplastic tray. New industrial processes mean that bioplastics can be produced from post-consumer waste, converting environmentally damaging waste into a valuable resource to be used as a feedstock for industrial processes. Learn more about the use of bioplastics in the food service industry.